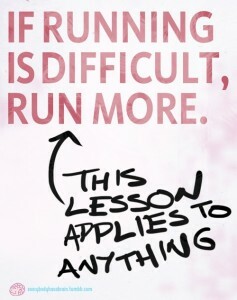 Anybody who has run, has tried to run, or has thought about running has some experience with Those Runs. You know the ones…you start and suddenly your feet weigh 20 pounds more than normal. Or nothing seems to move right. Or that internal voice just won’t shut up: “Why are you putting yourself through this? You could just walk and do as well, since you are so slow.” Those runs are the ones that, when we are done, we are proudest of, even if they felt horrible and nothing seemed to work right. I think writing is the same sort of thing, honestly. I teach writing for a living, to young people who need to immediately be disabused of the notion that all good writing is effortless, flows from the pen like sparkling water, and needs no revision once the writing pen hath moved across the page. This is the biggest myth that they struggle with, and I can understand where it comes from: we teach students that there is a formula for writing well (the five paragraph essay), and so it stands to reason that if there is a set group of steps associated with a task, we would expect that if we move through them correctly, we will have a successful outcome. 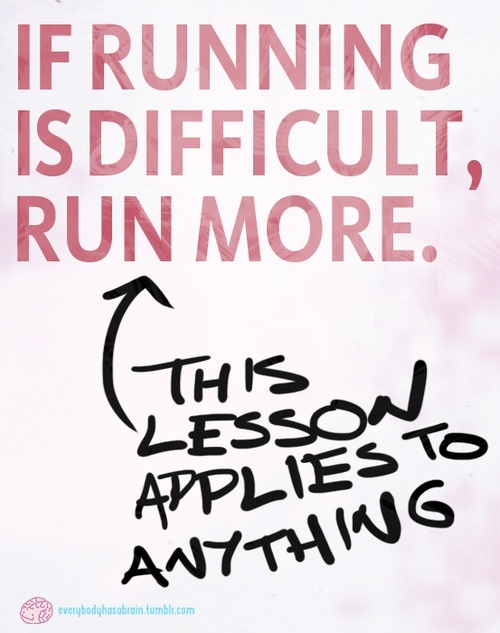 We think similarly about running: how hard can it be? You put one foot in front of the other, rapidly. Done. You have run. 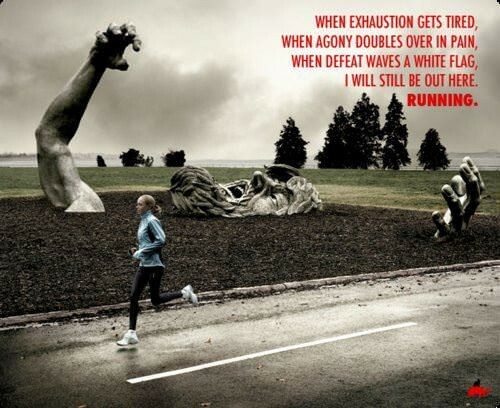 Not all writing turns out to be great writing, and not all runs turn out to be great runs. But the runs and the writing that we do, when we don’t want to, are the ones that make the following ones better and better.